Galvan's 'Whiteley' camisole is inspired by '90s silhouettes - think what Kate Moss would wear to a fashion party or magazine launch in the decade. 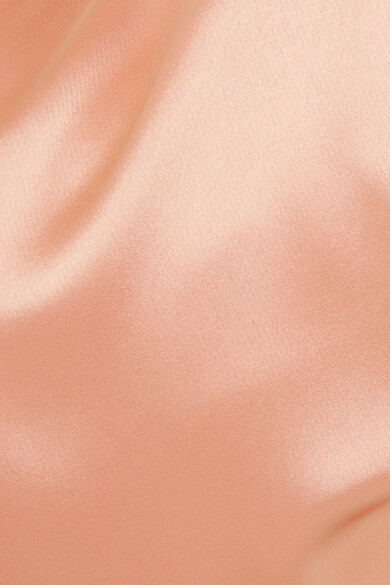 This version has been cut in the UK from fluid peach satin with delicate shoulder straps. It has a draped cowl neckline and dips low at the back, so a self-adhesive bra will make the perfect underpinning. 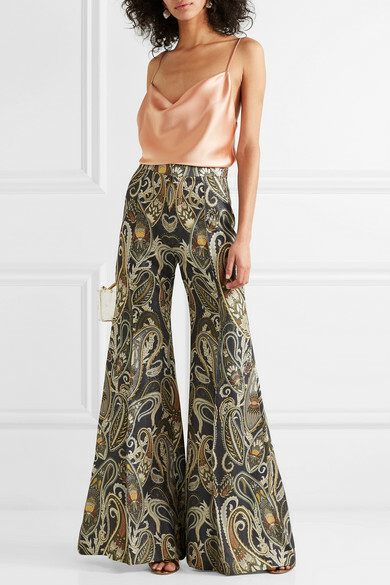 Shown here with: Chloé Pants, L'AFSHAR Shoulder bag, Gianvito Rossi Sandals, Chloé Earrings.